David Wilson, a 27-year-old from a struggling community on the Kentucky border, is one of the 1.7 million people in the United States with an opioid abuse disorder, as estimated by the American Addiction Centers. Clean now for nearly three years, Wilson tries to attend at least four meetings a week, more than his halfway house requires. And while the meeting at the Flatiron Club is not even for opioids – it’s technically a Crystal Meth Anonymous group – there is an understanding among the recovery community that the actual drug doesn’t matter, as long as you’re attending meetings. The continuing stigma surrounding addiction is a large impediment, says Steve Wildsmith, a recovery advocate in the marketing department of Cornerstone of Recovery, an intensive residency program in Louisville. While many states have laws mandating that insurance plans include addiction-treatment coverage, the majority will pay "at most" for 28-day rehab programs, Wildsmith says. Living proof is found in the recovery stories of those like Christopher Russell, who after years spent in the deepest pits of addiction following a traumatic childhood, is now working toward a bachelor's degree in counseling psychology. Pam Spindel spent years on the street, but in February earned a pardon from the Tennessee governor for her addiction-related crimes. Steve Wildsmith became an award-winning newspaper columnist. Today, all three work at Cornerstone of Recovery, helping those still early in their recovery process. 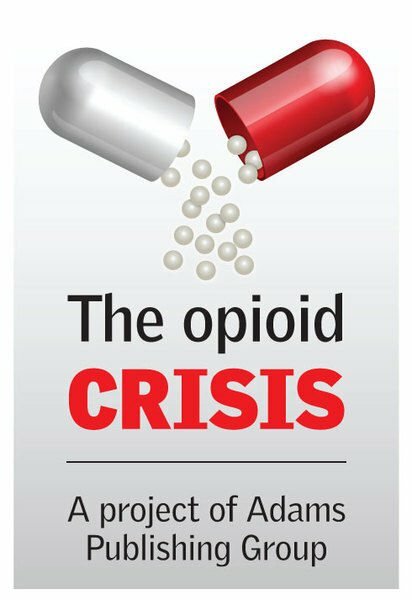 This is the second of three parts in a series by Adams Publishing Group, the Sun's parent company, about the nation's ongoing and evolving opioid crisis. 1.7 million people in the United States are struggling with an opioid abuse disorder.